White doves, symbols of peace, fly across the red and white stripes of the American flag. 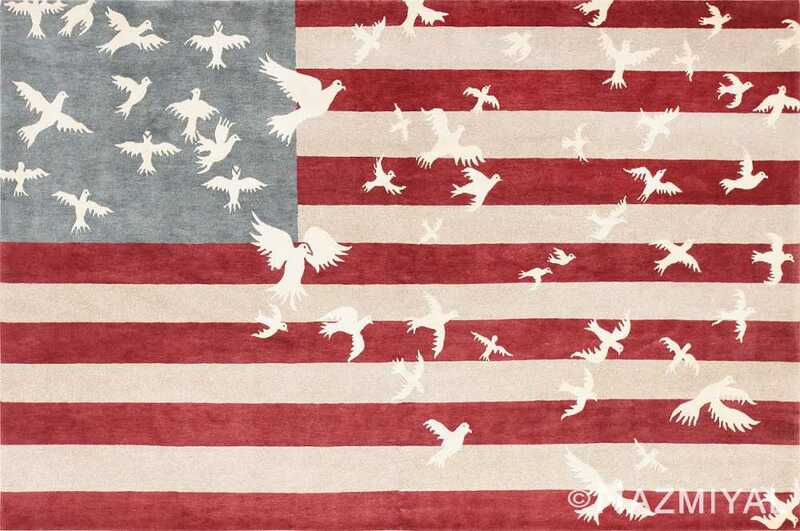 Designed by Luke Irwin, the “Doves and Stripes” carpet suggests freedom and hope. Doves and Stripes Carpet By Artist Luke Irwin , Country of Origin: Tibet, Circa Date: Early 20th Century – Designed by Artist Luke Irwin, this carpet displays traditional elements of the American flag, but in place of the 50 stars usually depicted in the blue canton, the designer portrays 53 white doves in several poses of flight across the stripes. The birds appear to be escaping the boundary of the grey-blue corner square, flying with outstretched wings into free space up and to the right across the red and white field. A large dove with outspread wings in the lower right corner of the canton marks the leftmost portion of the field of birds. 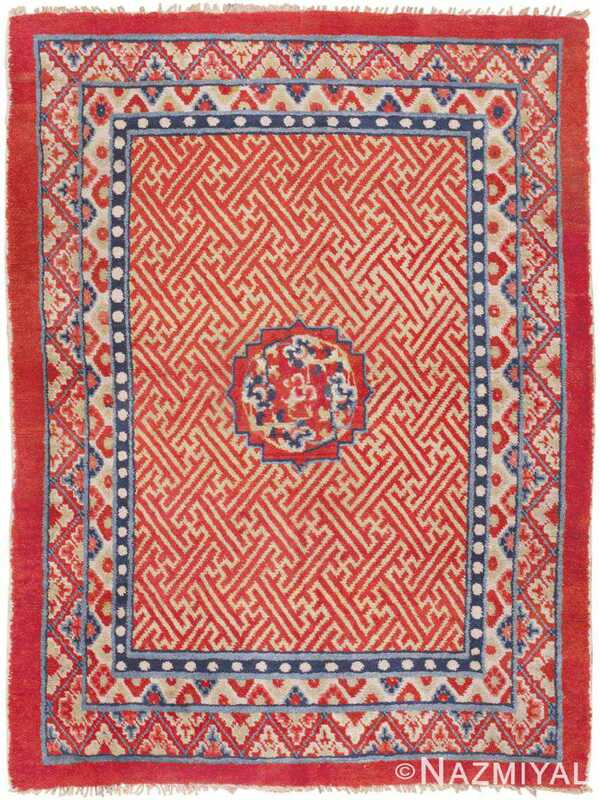 None are present in the lower left portion of the carpet. This antique Tibetan rug makes a grand impression with an endless pattern of Pinyin-Wan fretwork motifs and a grand medallion embellished with stylized blossoms. This outstanding antique Tibetan horse cover depicts an assortment of classic motifs arranged in a formal composition that is right at home in traditional spaces.